Like any storytelling medium, games have the potential to transport gamers to a world of our choosing. Such as one of the timeless novels, like Lord of The Rings or Alice in Wonderland, in games we can create amazing worlds that people are drawn into. The depth of the characters plays an important part in crafting that experience. But how exactly can we craft character depth in a game? Games leverage the same story building elements as other mediums to achieve this. But they also have some unique qualities that can, when used properly, create a very believable character. Before delving into the intricacies of creating a deep game character, let’s first define exactly what we mean by “character depth”. A deep, or dynamic, character is one that feels alive. You are able to empathize with them, they have fears and dreams of their own. You believe in their story, and understand why they make the decisions they do. A backstory, or for more mysterious personas, a tease or sense of something behind the curtain. You care about them. They conjure emotions of empathy, or even anger. Their motivators and purpose are defined. They retain a distinct personality, with their own unique idiosyncrasies. 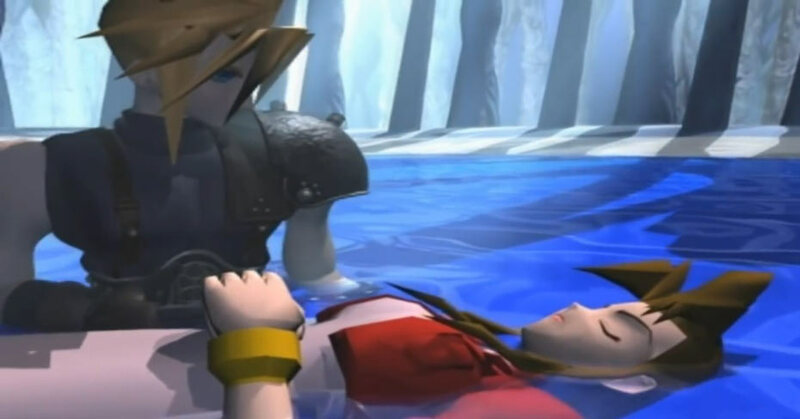 Of course not all games are created equal, and the depth of the story and characters could vary greatly depending on the genre and goals of the project. For this article we will assume you want to throw out all the stops and create the most dynamic, realistic characters possible. Here’s 5 tactics you can use to add depth to your game characters. It can be useful, especially working in larger teams, to have a consistent label you can attach to a character to define their type of personality. A set of archetypes to choose from is a great way to achieve this. It’s very useful as a guide-rail as the story progresses. It reinforces a consistent and well defined personality. 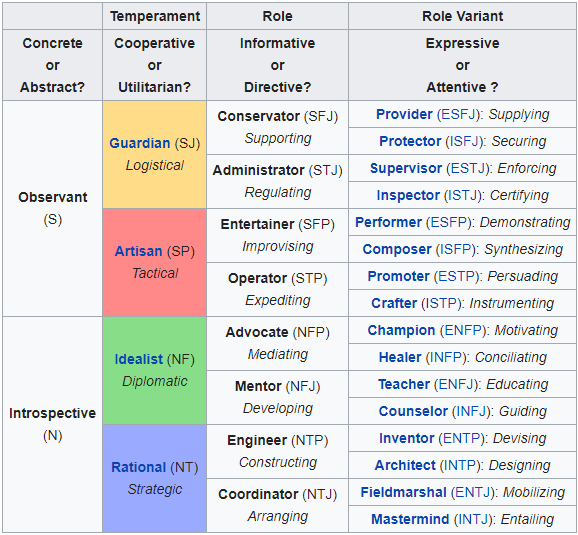 Decisions for how a character should act in certain situations and evolve through the game can be derived from their particular archetype (or types). As you work on new dialogue and try to determine actions a character will make, their inner motivations and character traits can be more clearly defined by using a set of predefined archetypes. There are quite a few archetype patterns out there, like the popular Myers Briggs type indicator or other common literary character types. The goal here is to use some framework to build upon, as you work through your game scenes. Adapt them to suit your needs, or use multiple archetypes on any given character. Below is the Keirsey Temperament Sorter, which has 16 well defined role variants to choose from. Inspectors are careful and thorough in examining people and institutions. Comprising about 6 to 10 percent of the population, Inspectors are decisive in practical affairs. These guardians of institutions are perhaps best described as dependable: Inspectors are people of their word, intent on preserving social and family values. At home and at work, Inspectors reliably examine the people and products that fall under their tutelage—unobtrusively ensuring uniform quality and demanding that certain standards of conduct are maintained. Performers are tactical entertainers, concrete in speech and utilitarian in action. In social situations, they are informative and expressive.The most fun-loving of all the types, Performers excel at delighting others with their artistry and humor. They continually seek stimulating experiences with those around them. Performers dislike being alone, which is seldom a problem because they naturally attract the attention of other people. They live in the fast lane, keeping abreast of the latest trends. They are drawn to sensory pleasure, sometimes without thought for the consequences. Though Performers are more subject to temptation than the other types, their zest for enjoying life is mostly a healthy pursuit. Incurable optimists, they are generous to a fault. They live in the moment and trust that tomorrow will take care of itself. Crafters are tactical operators, concrete in speech and utilitarian in action. Crafters tend to be drawn toward using tools of any type—artistic (musical instruments), technological (computers), or martial (weapons). Although they are introverts, they are authoritative in their interactions with others and can be forceful. They focus on accomplishing tasks efficiently and skillfully. To master the tool of their interest, Crafters require a certain degree of seclusion in which to practice. The result is often a virtuosity that other types find difficult to match. Healers are introspective, cooperative, informative, and attentive. Their tranquil and reserved exterior masks a passionate inner life. Healers care deeply about causes that interest them, and they often pursue those causes with selfless devotion. They are highly compassionate and empathetic to the needs of others, seeking to bring peace, health, and integrity to their companions and to society at large. They want to heal the problems that trouble individuals and correct the conflicts that divide social groups. Teachers are introspective, cooperative, directive, and expressive. They tend to look for the best and to expect it from those around them. Teachers communicate a belief that everyone has the potential to succeed, and Teachers often seek to help others express this inner potential. In doing so, they may motivate others to meet the Teacher’s positive expectations. However, Teachers may unintentionally overpower others with their idealized vision. Counselors are introspective, cooperative, directive, and attentive. They have a strong desire to contribute to the welfare of others. Counselors are gratified by helping others to develop and reach their potential. Inventors tend to be expressive, introspective, tough-minded, and probing. They can become highly skilled in functional engineering and invention. Of all the role variants, Inventors are the most resistant to doing things a certain way just because it was done that way in the past. Designing and improving mechanisms and products is their constant goal. Intensely curious, Inventors have an entrepreneurial character and are always looking for new projects to work on. Fieldmarshals are decisive, forceful and natural leaders. They have a knack for organizing large groups to perform complex tasks.Their talent for contingency planning is a close second to their ability to coordinate, decide, and execute a strategy. Born engineers, they want to break an idea or concept into its most fundamental parts, subject those parts to intense scrutiny, and reassemble the idea before giving it their final approval. Their desire to ensure that an assessment is valid extends to their own work, and they will often seek the opinion of another trusted individual such as an architect or an inventor to refine their view of an issue, regardless of how sure they are. Masterminds are introspective, logical, rational, pragmatic, clear-headed, directive, and attentive. As strategists, they are better than any other type at brainstorming approaches to situations. Masterminds are capable but not eager leaders, stepping forward only when it becomes obvious to them that they are the best for the job. Strong-willed and very self-assured, they may make this decision quickly, as they tend to make all decisions. But though they are decisive, they are open to new evidence and new ideas, flexible in their planning to accommodate changing situations. They tend to excel at judging the usefulness of ideas and will apply whatever seems most efficient to them in accomplishing their clearly envisioned goals. To Masterminds, what matters is getting it done—but also learning the principles of how to get it done efficiently and well; that is, at a professional level of quality. However, they may not give much thought to the social cost of getting there, “focusing so tightly on their own pursuits [that] they can ignore the points of view and wishes of others. Once you have identified which archetype(s) fit your character, you can add it to a character’s storyboard card, in order to easily identify later. Before starting on a new dialogue sequence or scenes, make sure you have your reference in mind to help keep a consistent behavior pattern for that character. The three dimensions essentially tell you how much emotional, or psychological, capacity is developed and portrayed within the character. I’m not sure of the origins of the three dimensions of character definition, but it is a great way to ensure you have the recipe for a dynamic character. Not all characters will warrant all three levels of dimension, and we will inspect different possible use cases for each. Whenever you work on a scene be very intentional with the character dimensions being applied. When a character feels lacking, this is often due missing some layers of the three character dimensions. It is arguably one of the most important aspects of character depth. This will include the individual’s physical appearance, actions, speech patterns – anything that can be viewed from the outside perspective, without any further insights into the individual. It’s essentially the list of features or superficial aspects of a character. At a minimum a character will have the first dimension. Characters with only one dimension are typically just utilized as characters external from the main storyline. They will be the innkeeper that sells his wares, or the NPC browsing vendor wares in a market. The second dimension is the character’s backstory. It is where the character came from, the journey they have taken up to this point in the game’s story. Their feelings about things that have occurred to them, good or bad, which explains who they are today. This is where the buy-in to the world will start to have an opportunity to develop, and empathy for the characters will begin to grow. Characters with two dimensions will be some of the main characters in a story, perhaps the sidekicks or mentors to the protagonist. You’ll see them enough in the game to warrant getting an understanding of these characters interests and how they ended up in the group. Sometimes these characters will be the quest giver or village leaders, revealing a backstory to their plight that you are compelled to assist with. The reasons to add the details of a second dimension, the backstory, really depends on if these characters will help move the story along, or add some needed depth to a scene in the game world. A hometown of a hero would certainly warrant a backstory on these characters that wouldn’t otherwise need the attention. To go back to the one dimensional example, you could actually add a backstory to all the simple innkeepers of your game. It would make the world feel more alive, and give a greater story playground for the gamers to immerse themselves into. Just take care that it reinforces your world. In some situations it could actually start to add noise or distract from a concise, fluid progression, let alone the amount of effort to create these characters in larger games. Be sure to be consistent with your application of backstories. Too many games have had inconsistent implementations, and it could actually backfire on the design. It would appear as gaps in the game world. An innkeeper at a bar with a very detailed story of his childhood, discussing his love of fishing with his father at the nearby creek. But then you go speak to his wife minding the kitchen, and all she has to say is “hello, would you like some fresh mead?” – she is missing all of that depth. This will easily break the spell of belief in the world, the world you were building with the innkeeper’s storyline, by bringing back a very flat NPC that you were expecting more from. A character’s actions can tell a lot about the person they are. The culmination of their personal journey, what their life experiences have created, revealed in the decisions they make. This is where there is an opportunity to show what a person is made of, their true self. A big area this will be leveraged, is when there are major conflicts a character has to adapt to. Given the choice will they become a hero, a coward, a villain? This will give insight into who the character is, not just the battles they completed or the story up to this point, but where the next step in the story will be. With these choices, you will start to feel like you really know who that person is and expect what their response to actions will be as more choices arise. The types of decisions don’t have to be momentous, either. It can be some more mundane choices. It’s the type of choices that give insights into what makes the individual tick. A blatant disregard for healthy eating, and always rushing to be on the front line in battles? You could surmise they have a death wish, which could speak to their motivations for a lot of other actions, reinforcing each other and building the belief in the character. Characters that should have the third dimension applied will of course include the protagonist, the hero of the story. Any of the characters that you want an emotional buy-in for, such as friends and intelligent villains. Emotional buy-in is very important, and we’ll dig deeper into this topic shortly. Villains with the third dimension are extremely important to portray a truly believable world. Not just for the overall story, but to reinforce the conflict between the hero and villain. This will inevitably shine a light on the protagonist’s character, too. People don’t act inside a bubble, they push and pull each other on either side of a conflict. They adapt and change due to others’ choices. Too many games have created a flat villain, that is defined as; pure evil – because he is red and has pointy horns. Give the antagonist a story and some hard decisions, and you’ll start to get people empathising and having a deeper connection with the villains. Why are they blowing up the world? What do they do when given an opportunity to seize a strategic win but it requires a personal sacrifice to do so? A good indicator that you have started to create a compelling game world is when there is a form of empathy with characters in the game. With the appropriate details developed, you will begin to solicit gamer buy-in to the story world. This is an important result of your character development, and a tool to use to craft a believable world. 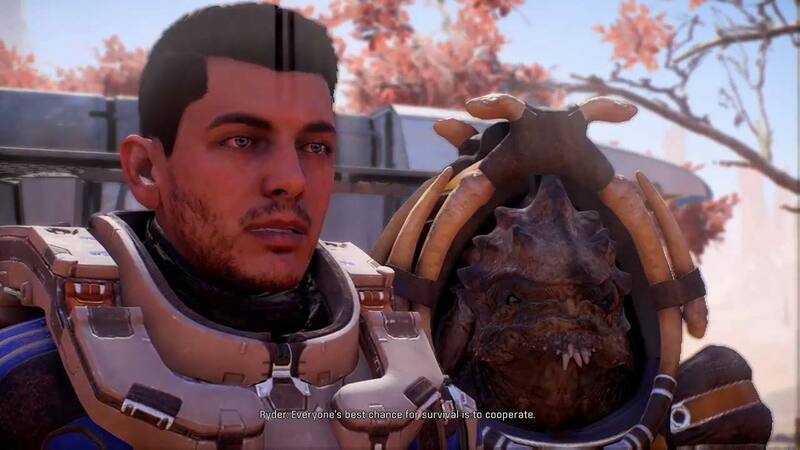 When generating emotional bonds with our game characters, it is not always going to be full of sunshine and rainbows. Positive feelings are just one type of emotion, sometimes we have emotions toward the villains – a heart pounding fury over what that demon has gotten away with, or a desire to right a wrong done to a character you’ve grown to empathize with. We should be pushing our designs to try and invoke the appropriate response from the scenes we develop. Anger, compassion, fear – these should be our goals of the story world, this is how you will draw the gamer in. There are any number of ways to create a strong emotion toward a character. Let’s focus on a couple examples of how to achieve a particular emotional response. During tense or alternatively mellow scenes, fire off a surprise attack or loud outburst. Pose a distraction before an elaborate reveal of a powerful character. Less dialogue tends to lend more gravity to a situation. Drawn out silences can help here too. Instead of a verbal response from a conflict, a sudden and harsh action can be far more effective. Take a difficult situation, where this is no right answer and leave the decision in the hands of the character. The anticipation can manifest in fear and anxiety. A backstory that reveals an act of selflessness. A character with at least two dimensions putting themselves in harm’s way. Sometimes a weakness can elicit a desire to protect, and a larger attachment to the character as you guard them through difficult encounters. A character with at least a second dimension that you’ve grown to trust, unexpectedly betrays that trust. That’s a recipe for an increased blood pressure. An evil deed toward innocents, or destruction of a beautiful city or item, that you are unable to prevent. Frustration toward being unable to help, can escalate the anger toward the enemy. Stealing a goal, special item or trophy out of the gamers grasps. Perhaps a quest item you almost attained stolen, or even destroyed, by an antagonist at the last second. A contrast of scales. For example a narrow cave passage opening to reveal a large cavern with a giant dragon waiting within. Can also elicit fear ( see fear #2 above ). Any demonstration of a great contrast in power, the key here being the contrast, it needs to be clearly visible. The character that makes a huge leap forward in their development, gaining some great profound knowledge or new powers. Could show up as a big secret revealed that unravels some of the major preconceptions in the game world. A character that performs an unexpected and profound sacrifice. Playful back and forth dialogue with witty humor. A great achievement is reached for a character, such as returning home after a dangerous journey. Overcoming a conflict, a resolution with a good outcome. Wastefulness or a lack of concern for what’s important. An alien, unusual characteristic. Don’t just use a physical deformity, but a peculiar action or idiosyncrasies that appear extremely odd. A character’s purpose or goal permanently lost. If there is a loss, such as when a character dies, shine a light on their good qualities. Especially if they were demonstrated earlier in the game or backstory, this will amplify the loss. Short and succinct statements of bad news, tend to hold more weight, than a long drawn out dialogue. Don’t short change the story, but test out different ways of delivering bad news. A backstory is important, but it only tells what happened in the past. Once you have a backstory in place, you can use it to define the motivators that explain why a character acts the way they do. This will drive the individual forward, and will create new conflicts that will have the potential to redefine the character, perhaps change them completely. Think of it as another backstory, one that is not yet written, where you are able to act out the story in the choices available, and force the character growth. Pay attention to the progression of time and how an individual will inevitably change over the course of a difficult journey. The things they learned and skills they have acquired will transform the character. 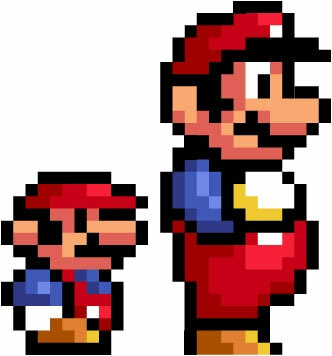 This is how you demonstrate character evolution, it is a powerful way to create a sense of realism, and that of a truly a dynamic world. Your story will hold the key to how that individual will change, so plot it’s course accordingly. Here’s a few scenarios used to change a character, to force them to develop. Conflicts. Present conflicts that the character must face, where they become stronger or more cynical – whatever the appropriate change would be for their particular archetype. These could be as simple as an argument with a mentor, or an epic battle scene. New knowledge. Learning something that changes their perspective of the world. Unlocking some dark secret of their past could change previous views, especially about who they are – or who they believe they are. This could change an individual profoundly. Inner turmoil. Some struggle the individual has been battling over time, eventually comes to the surface. These could manifest as a new development in their personality. A good approach when figuring out how to develop your character is to loosely plot the type of person the character starts out as, a naive optimistic hero, to who they end up, a bitter anti-hero. If you already know where you want the character to end up, you can be intentional with the storyline so that they reinforce your development goals. Consider these secondary details that you can use to add further immersion and realism. The random NPC interactions or scene designs that reinforce the character’s story. Environment can tell a story of its own. 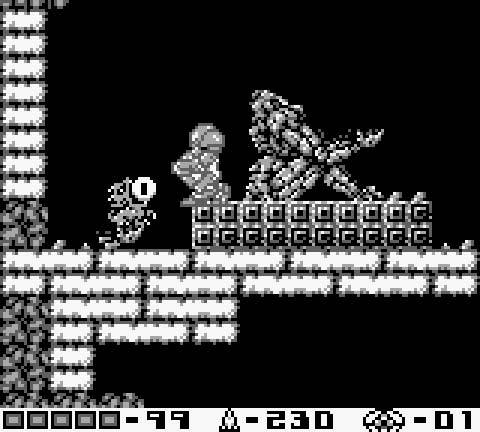 Metroid II had no dialogue, all it had was sound and remnants of a dilapidated city uncovered as you explore the alien planet. It gave a sense of a race that was lost, perhaps by the Metroid infestation. One that was advanced enough to have powerful weapons, and from the statues you could gather they based their culture on some religious beliefs. Add props to your environments that will reinforce your character stories. People notice the details. Player choices. This allows the player to get invested in the gameplay, in the decisions the character is making. Especially when it’s a very dramatic decision that forces the player to make a tough choice. 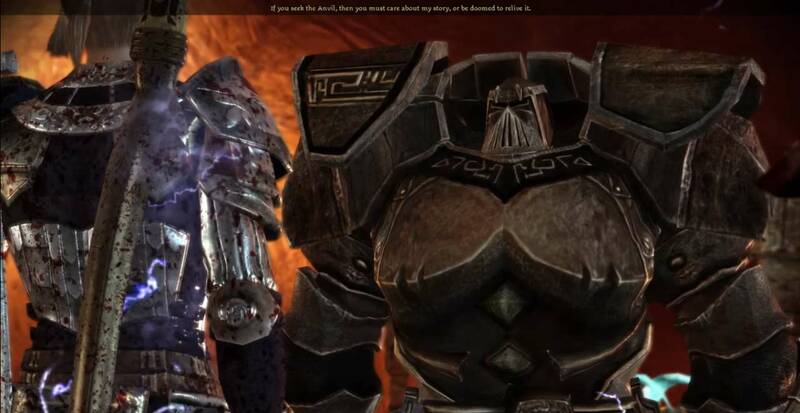 Such as in Dragon Age Origins, where the dwarves had a conflict in their backstory that culminated in a battle you are forced to choose a side on. The ability to create golems was legendary with the dwarves, unbeknownst to many it cost the life of a dwarf sacrifice to animate one. You are given the choice to bring back the Anvil of the Void and continue the sacrificial process or destroy it and bring back a different prize than originally requested. Visual personality cues. Even the way an individual walks can speak to a particular personality. The animations need to be well designed, fluid and reinforce the character design. Speech patterns or character catchphrases. Hand gestures or other mannerisms that are unique to that individual. If a surprise or stressful situation arises, create a visible reaction in the response. Have the character start pacing, or shrug, start glancing about nervously. However the individual would manifest their reaction based on their specific personality. Add some new dialogue to NPC’s that are visited again as the story progresses. Have NPC’s react differently, perhaps what was once apathy towards a protagonist becomes fear or happiness. Physical changes over time; beard, bruises, armor with visible wear after battles. Hopefully these tips will help you create a more compelling character design. If you have tried any of these tactics or have new ones you’ve found useful, we’d love to hear about them. Leave a comment below.